The health and wellness coaching industry has absolutely been booming over the past decade, helping people build health (amidst our very broken “healthcare” system), recover from chronic illnesses, and look and feel their best. 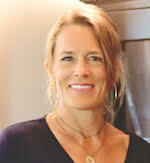 Multiple health coach training programs exist that train professionals to offer nutrition and lifestyle advice from the holistic, integrative, and functional philosophies, in response to increases in acute chronic illness, and obesity in our society due to our failing conventional healthcare system and low quality food supply. Because of the increased awareness of the skin-health link, more aestheticians, cosmetologists, and other practitioners who support skincare clients have chosen to get certified as health coaches. There are many quality health coaching programs to choose from, but whichever one you choose, it’s important to understand that as a health coach, you will have to practice under specific rules and guidelines to remain within your scope. 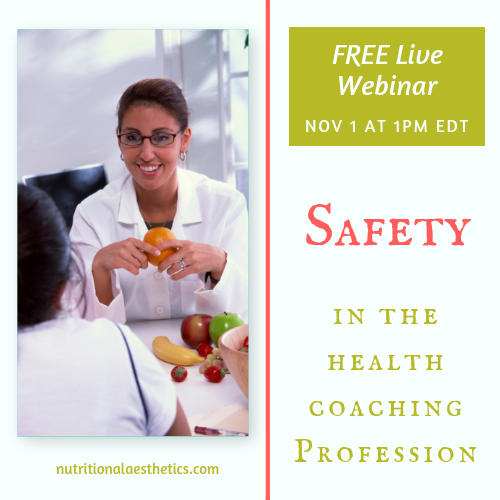 Join us for a free live webinar, Safety in the Health Coaching Profession, Thursday, November 1 at 1pm EDT. Our special guest is Carmen Hunter, who is the founder of the Institute for Functional Health Coaching. Carmen will cover a topic that’s just as important as nutrition and health coaching–and that is the subject of safety in the health coaching profession–namely how to help your clients while staying within your scope of practice. You may have heard that it is illegal to give nutritional advice to clients unless you are a state licensed or board certified nutritionist (some states do require that), registered dietitian, or licensed medical professional. That is only partly true–and as a health coach, there are strict guidelines on what you can and can’t recommend to your clients. Click HERE to save your spot in this presentation. Carmen Hunter is the founder of The Institute for Functional Health Coaching™ and the creator of the proven functional method of coaching Education, Preparation & Action ©. She has over 8 years of health coaching experience to include hundreds of one-on-one clients, group training, live and online talks and teaching with clients. She has been educating and mentoring coaches for over 5 years and has collaborated her teachings on low risk health coaching with top wellness professionals from around the world. She loves to collaborate and bring experts to her audience so they have reliable resources and can stay safe in their health coach lane. Carmen believes that diagnoses are symptoms of larger health conditions, and that approaching a client from a whole mind-body perspective is the only way to reach optimal health. 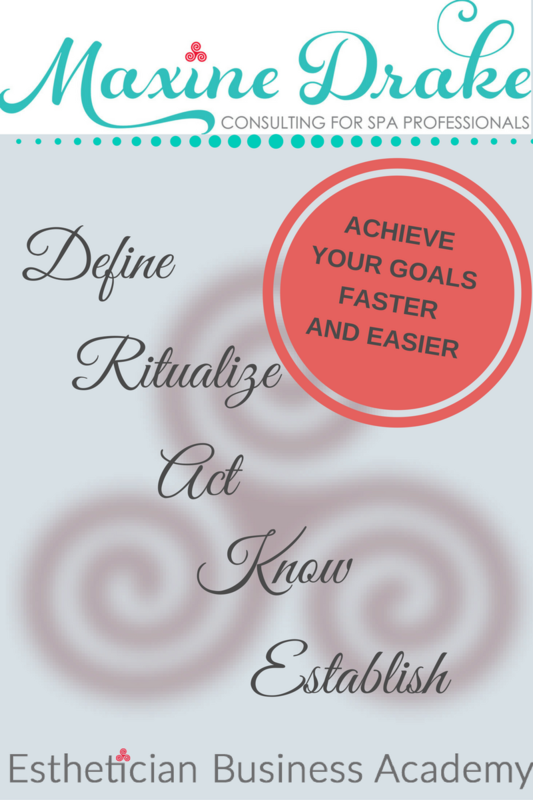 She does this by teaching a “seven foundations for humans” model that can be used with any client no matter their symptoms or conditions. Her number one focus in the health coaching profession is to educate and inspire coaches to build a successful business with integrity and service that surpasses all others. “No question goes unanswered” is her motto. Carmen is known as “the tough love mentor” who loves to help people overcome obstacles and barriers to success in her Podcast, The Successful Health Coach. The live presentation of this webinar is free, and open to everyone who registers HERE. If you are not a NAA Member, can’t make the live presentation, and would like to have access to our extensive libraries of educational skin-health and practice-building resources and special pricing on continuing education programs and industry events, join us today! It's Health Coach Week 2018! Let's Celebrate!